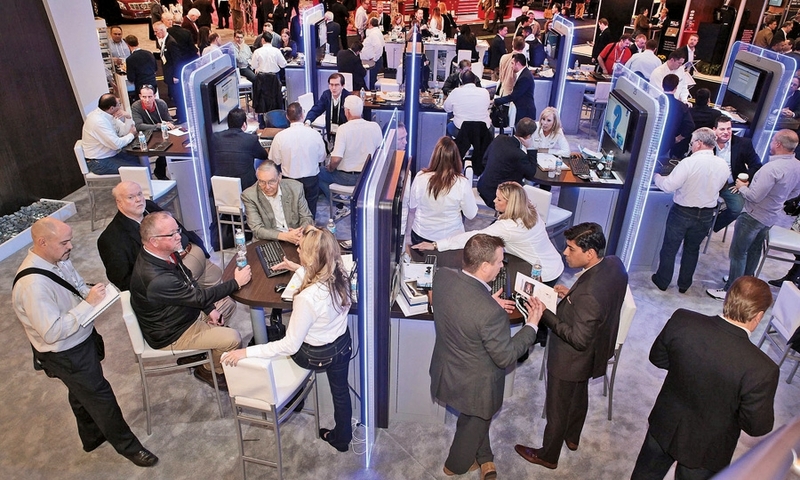 This year, dealers and their staffs swarmed exhibitors that offered service write-up apps, smart Web sites and other fixed-ops software. 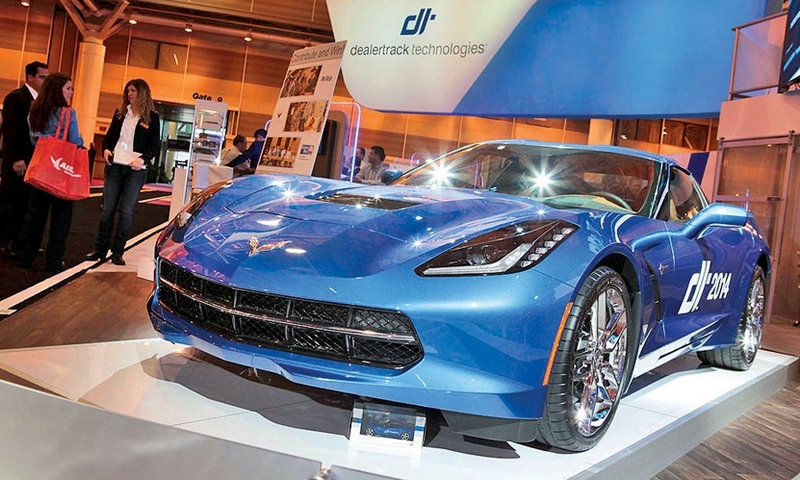 Ashley Koreman, a senior sales trainer at vAuto, demonstrates the company's Conquest new-vehicle inventory management tool to Brian Lam, general manager of DCH Paramus Honda in Paramus, N.J.
Dealertrack Technologies raised $100,000 for charity raffling this 2014 Corvette Stingray parked at its booth. Attendees fill the Dealertrack Technologies booth to check out the company's new dealer management system, inventory-management software and other products. 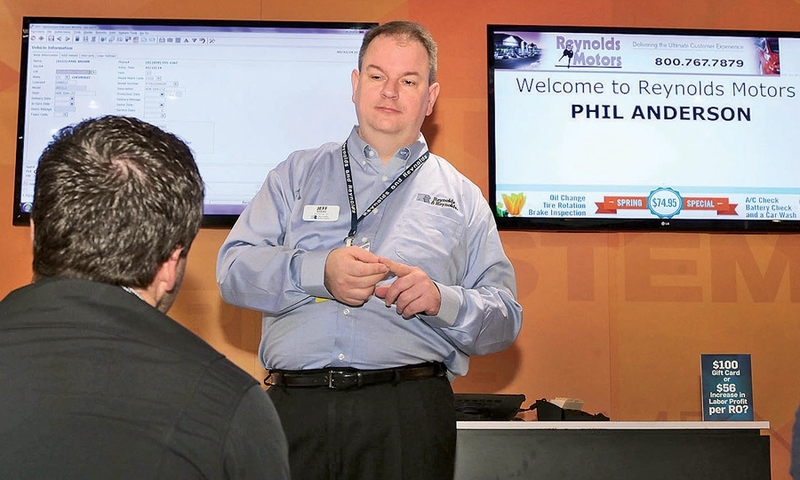 Jeff Adams, product planning manager at Reynolds and Reynolds, shows how a radio frequency identification reader in the service department can identify a vehicle and greet the customer. 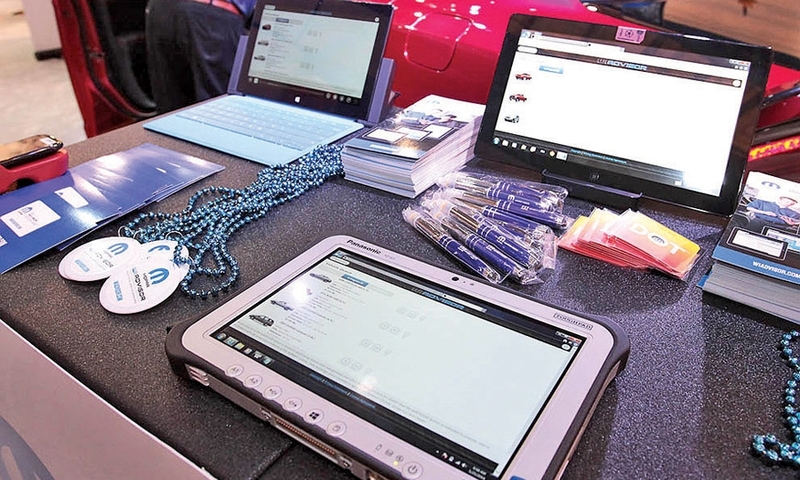 Chrysler displays its mobile wiAdvisor, which aims to speed write-ups in dealership service lanes. 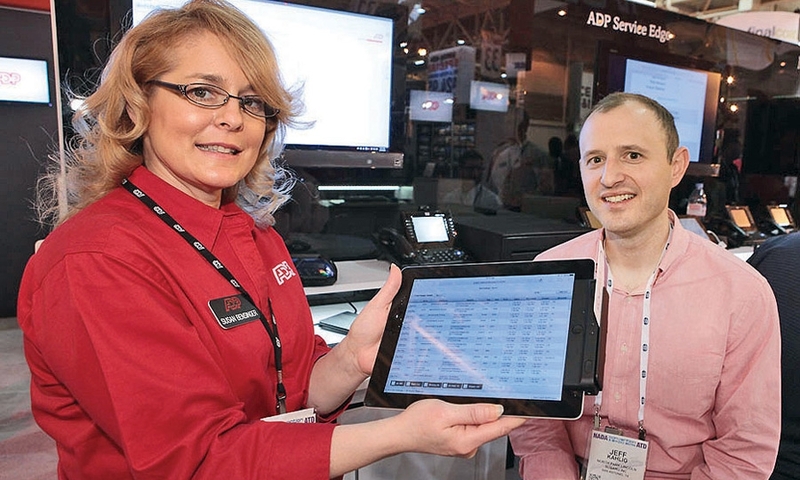 Susan Bensinger, product manager at ADP Dealer Services, shows a new e-payment system for service customers to Jeff Kahlig, CFO of the Kahlig Auto Group in San Antonio. 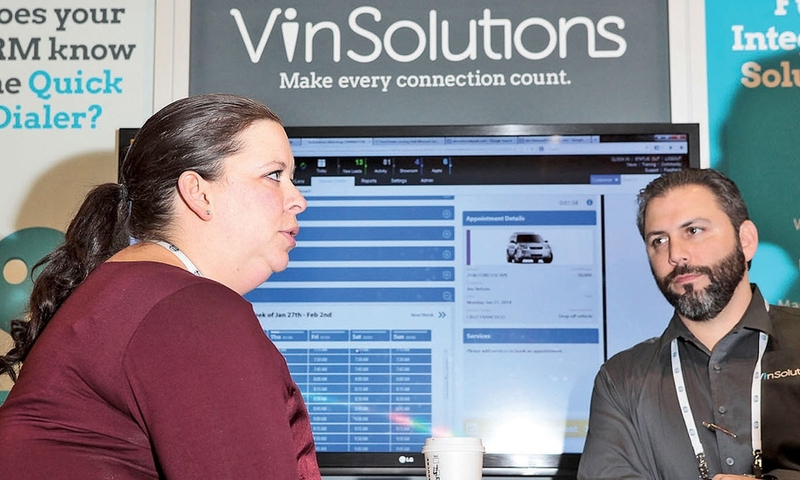 Siamack Zahabi II, national sales manager at VinSolutions, shows service department software to Bobbie Herron, digital sales and marketing director for Garber Automotive Group in Saginaw, Mich.